I recently bought a package of wood hangers, and knew they would be perfect to make over. 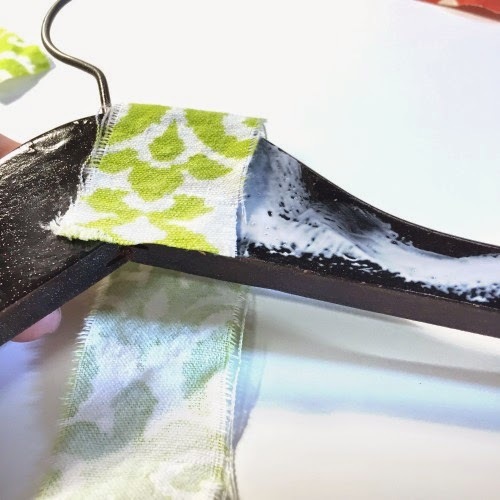 These fabric-wrapped hangers are super easy to make and look great because you have your favorite fabric do all the "wow" work! 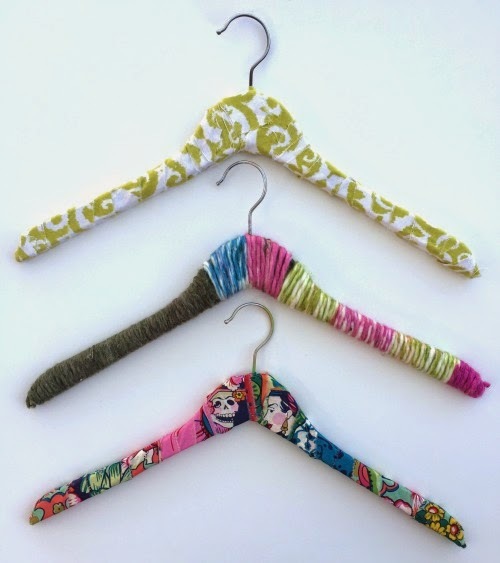 AND - it's a great way to use your fabrics scraps to make your closet more artful! Check out below how I made this one, plus some others too! 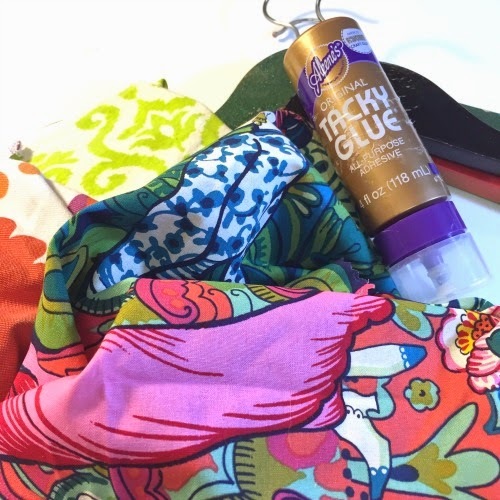 Colorful fabric that you don't mind ripping to shreds! First you want to rip your fabric. I love this technique because it is fast and straight! You want to rip from selvage-to-selvage. You'll need several strips about 8" long each. You'll have a pile like this! You can make a lot of hangers out of this. 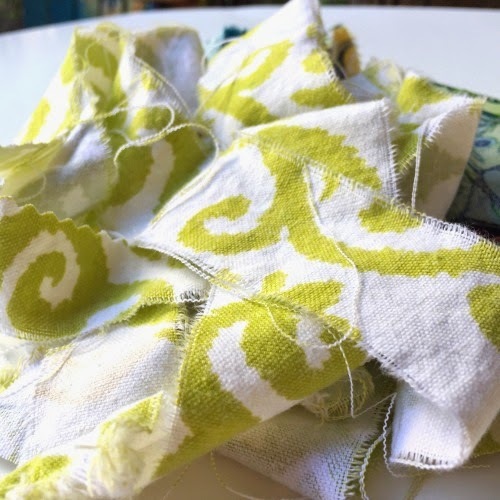 What a great way to use up scrap fabric! 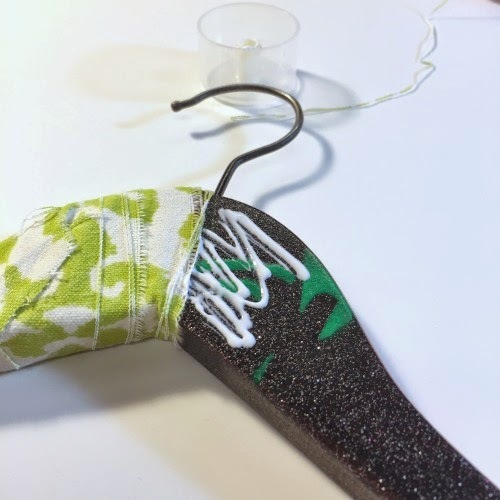 Start on the back side, add your glue evenly around the hanger's surface and press the end in place. 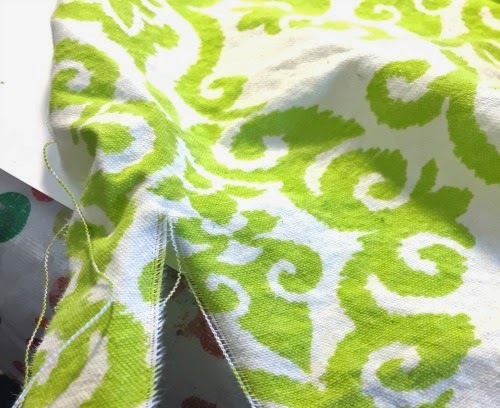 Wrap the fabric strip around, pressing into place and smoothing out any wrinkles. 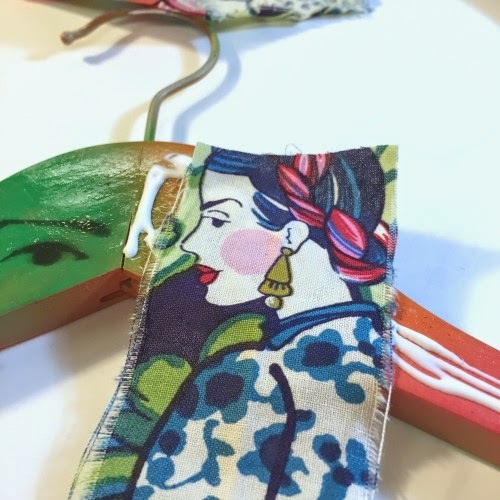 Now, I used some scraps from really pretty graphic prints I had, and I didn't want the imagery to go to waste, so for this hanger, I made sure to place the best part on the front. Then I filled in. I love how vibrant these look! For the one in the center, I used yarn! You could also add more fabric applies on them, I wish I had thought of that while I was making them! That green one could use a pretty rose! Thanks for checking out my project! 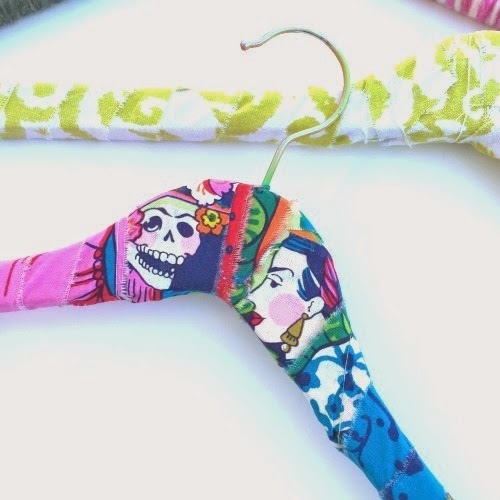 I hope you try this to add to some color to your closet! 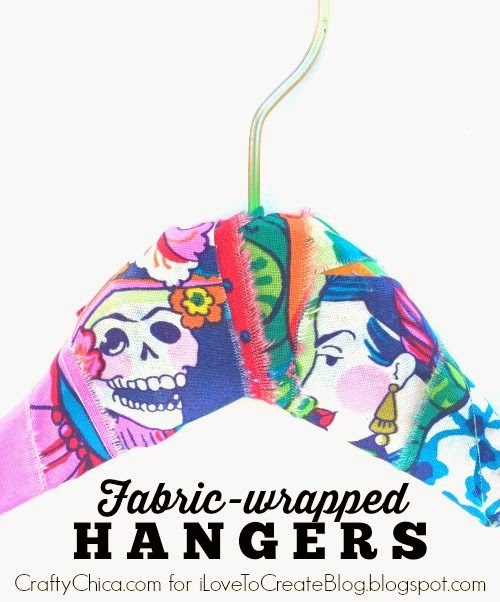 It also helps with clothes that slip off your hanger, this will prevent that! 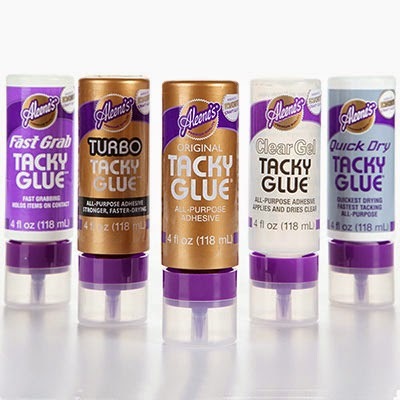 For more Crafty Chica ideas, sign up for my email list - new DIYs weekly! I am satisfied with these suit hangers from Bizarkdeal, exactly what I want. They look wonderful, very nice finish. And they are perfect for hanging my overcoat without any crease on the shoulders, very sturdy. I will buy another set.